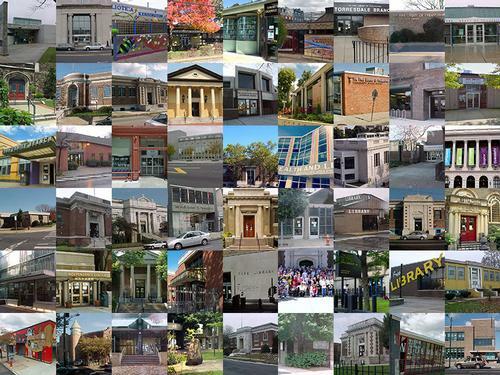 When I came aboard at the Free Library of Philadelphia in March of this year as Chief of Staff, I set a goal to make it to all 54 neighborhood library locations. It was important to me to do so for a number of reasons. My hope was to meet the staff at each location, ask questions, learn about what works, and, likewise, what challenges exist. I also feel it is important to meet employees in their environment, rather than asking them to come to me. I like getting out of the office! I may not have made it to all 54 in one day like my colleague Kate, but I traveled to one cluster at a time (our system is broken into nine clusters of libraries within close proximity to one another) beginning in May, and I finished in July. Now, it’s time to reflect. My neighborhood library is Overbrook Park, and I spend my work days in the Parkway Central Library on Vine Street, so I was excited to see what else the Free Library is doing in our city. The visits consisted of the coordinator of that particular cluster taking me around to each library in the area, and introducing me to the branch head, who would then take me on a tour and introduce me to the rest of the staff. While I left each library feeling inspired, and with a variety of thoughts swirling in my head, what I took away from the experience, above all else, is that we’re doing the same work for all citizens of Philadelphia, no matter which library they call home. Each library is unique and fits perfectly into that particular neighborhood. It’s almost like the people match their library, in a way, and I found that so very interesting. Everyone seemed right at home—they know each other, they know the staff, they gave warm greetings. These libraries mean so much to the communities they serve. It was special to see it firsthand. I also got to see and learn about the organizations in these communities with which the libraries work on a regular basis, from schools to Friends groups to neighborhood associations and everything in between. There is some amazing work being done around our city, and the library is one crucial part of that. I was struck by how beautiful so many of the libraries are. It turns out I have a thing for the Carnegie libraries! I fell in love with their style and architecture. I pass the Haddington Library all the time while taking my son to hockey practice, and I always thought it was a church. Others are real hidden gems in their area—the Queen Memorial Library stood out to me for its simple brick beauty and the greenery surrounding it, not to mention the melodic voices of the preschoolers enjoying storytime! And still others surprised me—the Fishtown Community Library, with its high ceilings and unassuming façade (left over from its fire station past) looks nothing like a library, but it works, and it is a part of its story. 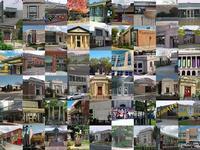 That said, nearly every one of our neighborhood libraries needs love. The Rebuild initiative in our city is doing, and will continue to do, great work to improve our libraries, parks, and rec centers, as it is sorely needed. Certainly with old buildings that receive so much traffic, they’ve taken a beating. I saw damage in some way at each location. They each have their own challenges, and we need funding to make improvements and upgrades. They may not all need drastic changes, but they could all use something, whether it’s a fix here or there, new furniture, or better signage. And every library needs to be accessible, that’s so very important. This experience taught me many lessons and has given me a strong foundation as I move forward in my still-new position with the Free Library. I got to visit parts of the city that I hadn’t been to before, and some that I didn’t realize were even within the city limits. It was honestly one of the highlights of my career. They were long, great days. It was daunting, but it was worth it.